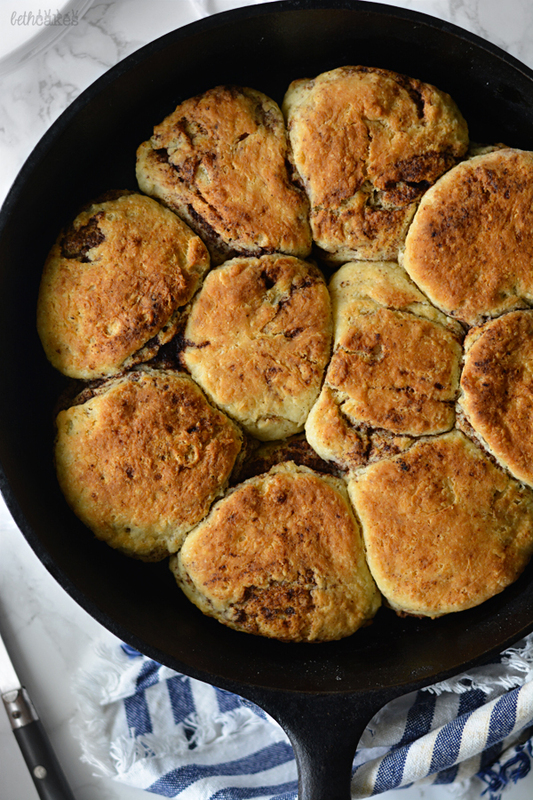 As excited as I am to share this biscuit recipe with you today, I feel like I need to apologize first. You see, I’ve lived in the South my entire life. Like, Alabama is the deep South, okay. Also I consider myself a baker. So, as a baker and a southern person, how have I NEVER MADE HOMEMADE BISCUITS BEFORE? I really have no excuse because they are beyond easy. So, I’m sorry. From now on, I will do my best to be a better southerner. 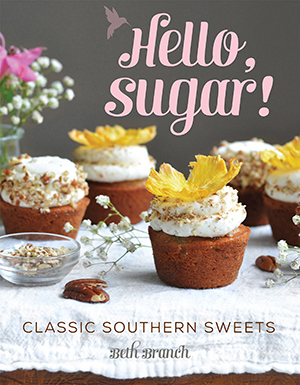 I’ll dig through my closet to find my grandmother’s recipe book, and I’ll try to share more classic southern recipes. Maybe even some that use Crisco. In all seriousness, I need to tell you about these biscuits. Like I said, this was my first time making homemade biscuits from scratch. 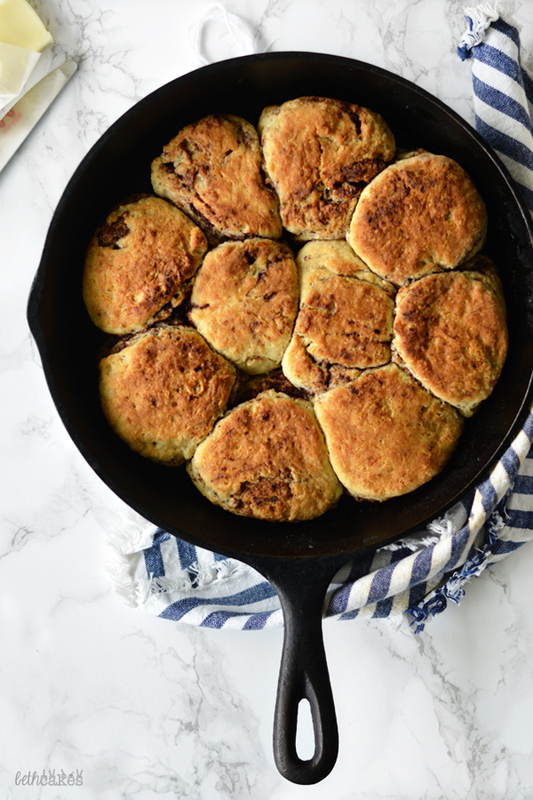 The good people over at King Arthur Flour are currently doing a #BetterBiscuits campaign, and I really enjoyed using their self rising flour for this recipe. That’s what makes biscuits so easy! There are tons of great recipes for biscuits that call for all purpose flour, eggs, baking powder, and all that. But when you use self rising flour, all you need is self rising flour, butter, and buttermilk. 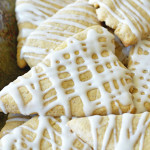 To make these biscuits, you can use a pastry cutter or a food processor. I chose to use my food processor to cut the butter into the flour, mainly because I’m just really terrible at using pastry cutters. 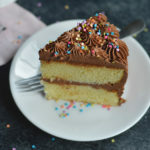 I really wanted to use browned butter in this recipe, but I only lightly browned mine to a golden brown color. Since I’d never made biscuits before this, I didn’t know if browning the butter would mess with the recipe or not. 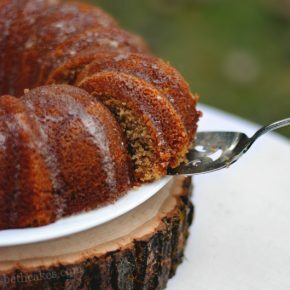 You don’t have to use browned butter though. Regular butter is completely fine. The trick with biscuits is to not over work the dough. You knead bread dough so it won’t be tough, but it’s the opposite for biscuits. If you work the dough too much, your biscuits will not be fluffy on the inside. So, to add the cinnamon sugar swirl, I sprinkled the dough with cinnamon and sugar, and just kind of folded it in half a couple of times, sprinkling with cinnamon sugar between each. Also make sure you’re working on a WELL floured surface. I didn’t flour mine enough and ended up having to scrape my biscuits off the counter. 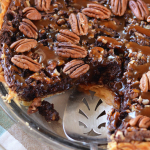 I baked these in a cast iron skillet, but round cake pans or even a baking sheet will work too. Stir together cinnamon and sugar. Drizzle melted butter over mixture and stir until crumbly and the consistency of damp sand. Preheat oven to 400 degrees and place a cast iron skillet in the oven to preheat. Place the flour in a food processor. Cut butter into small cubes and sprinkle over butter. Cover food processor and pulse in short bursts until butter pieces are about the size of peas. Transfer mixture to a large bowl. Add buttermilk and stir gently until just combined. Place biscuit dough on a well floured surface and gently pat or roll out to 1-inch thickness. Sprinkle with cinnamon sugar mixture. Fold dough in half and pat flat. Sprinkle with cinnamon sugar. Fold in half and roll out to 1 inch thickness. Remove the skillet from the oven and a little olive oil, just enough to coat the bottom of the pan. Brush melted butter over the tops of the biscuits and bake for 25 minutes, or until tops are golden brown. Remove from oven and let cool. Apology accepted 😉 I’m a southerner, too, and have only made biscuits a couple of times. These look amazing and I will have to try them! These look amaaazing. I wanna grab one off the screen, slather it in butter, and devour. Pinned! haha I forgive you 🙂 These biscuits look amazing! 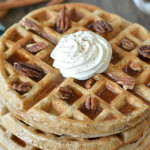 With the browned butter and cinnamon?? Yes yes! Oh my gosh! I am so excited! 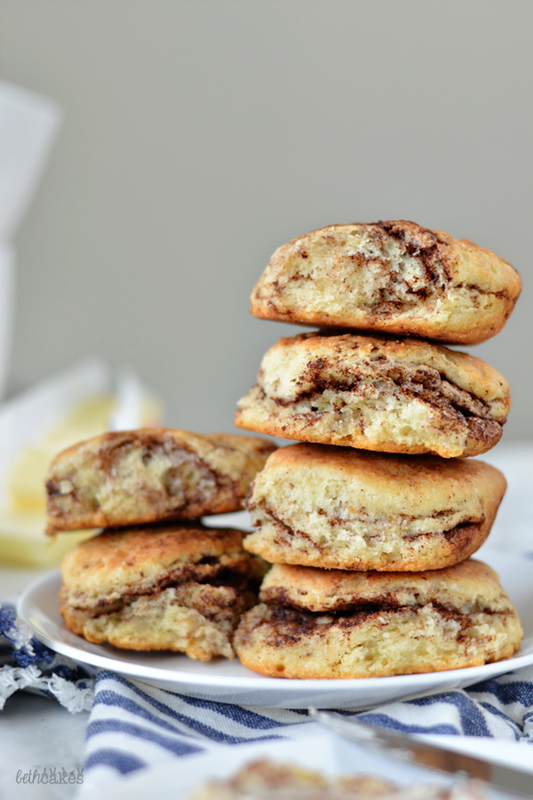 Brown butter and cinnamon and biscuits – ALL my favourite things in my taste treat! These are spectacular! So happy you are digging into your southern roots and that you used your grandmother’s skillet too! These look like the most amazing biscuits. EVER. These biscuits are falling into the “say WHAT” category. Oh. my. gosh. 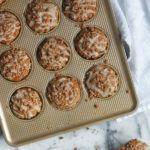 Cinnamon swirl biscuits? Sign me up! I am in love with how simple this is too! Love that you made them now because these biscuits look amazing! 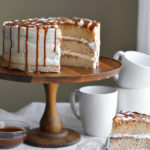 With a cinnamon sugar swirl too?Yes please! I don’t think I have ever made biscuits before either. They look yummy! 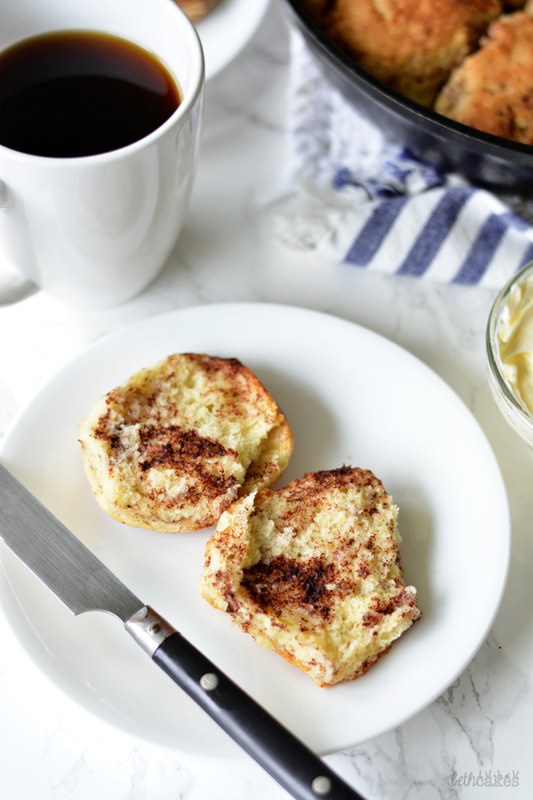 Can’t go wrong with brown butter and cinnamon! Love the swirl!